Dinos are getting out of their daily routine by escaping to beautiful Evrytania. 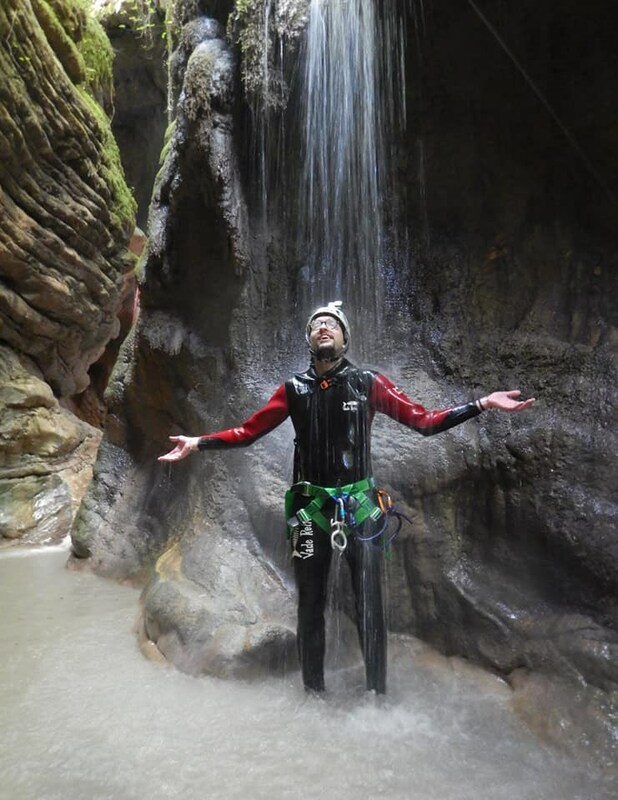 We invite you to experience one of the most unique and unforgettable canyons of Evrytania, as they combine crystal waters & green dreamy landscapes. 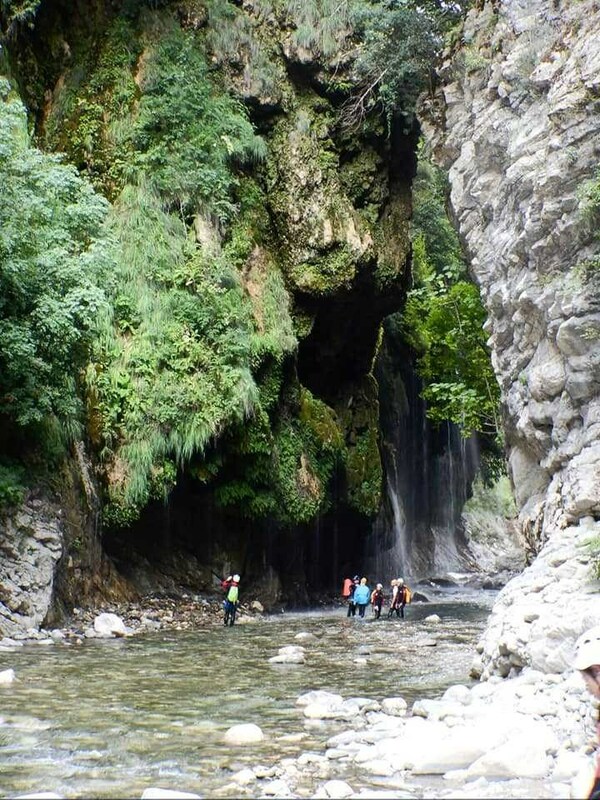 •	The first day is starting with the “Black Cave” (Mavri Spilia) canyon abseiling. 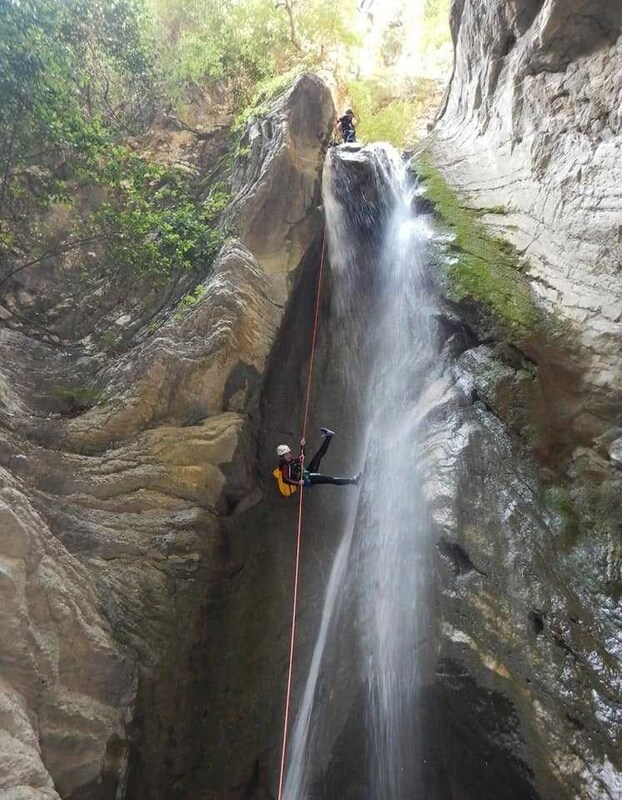 The specific canyon is considered to be easy and real fun. Afterwards, we are driving to “Roska” village where we are camping in a nearby area (toilettes and water at the location). 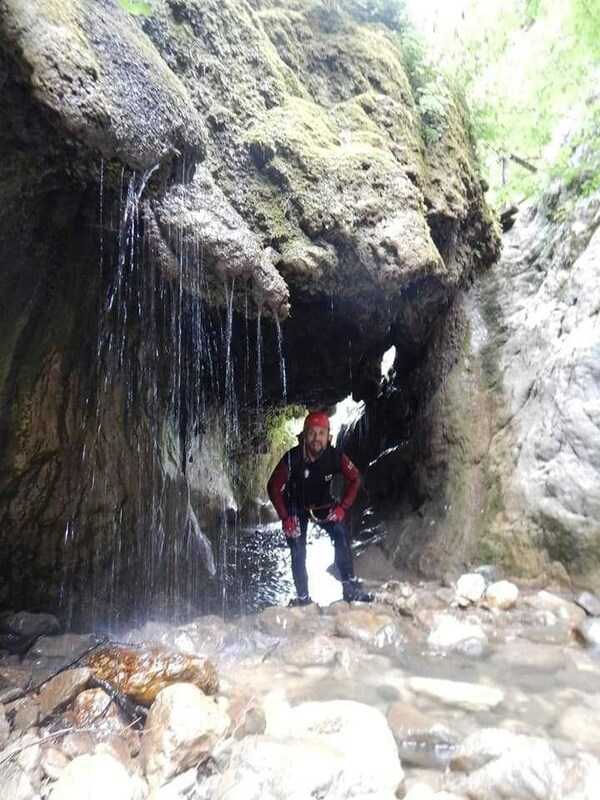 •	The second day we are heading to the “Roska” and “Panta Vrexei” canyon, a different level’s canyon and most beautiful. •	The third day, after our breakfast, we departure for Athens. •	All the equipment for the canyoning. 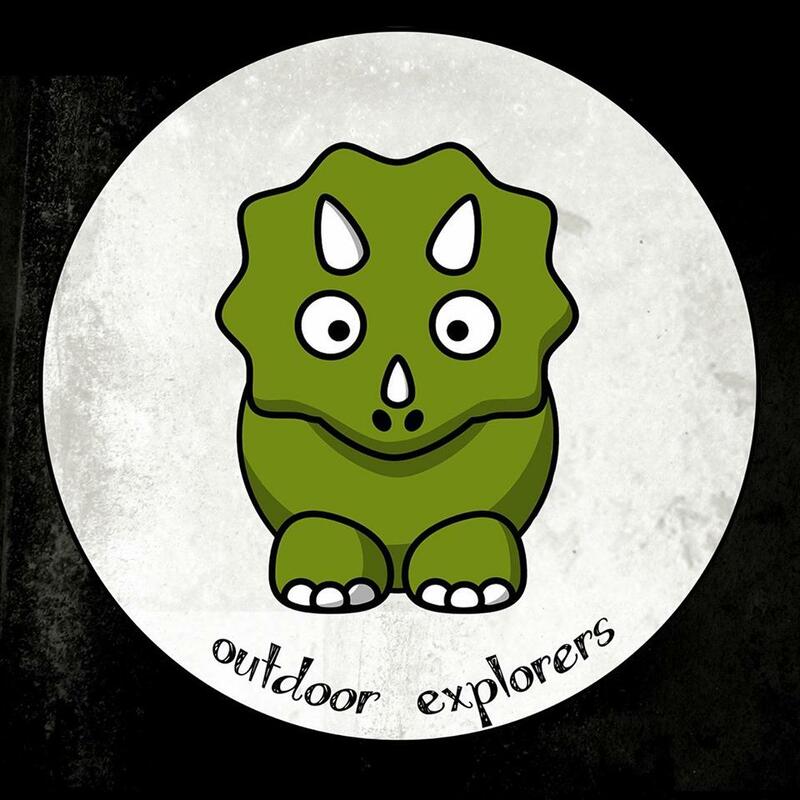 •	Affiliated instructors by ICOpro (international Canyoning Organization For Professionals). •	Health insurance for the activity. •	Certified First Aid providers. •	Photos & videos for all participants. •	Shorts or leggings for the hiking. •	T-shirt for the hiking. 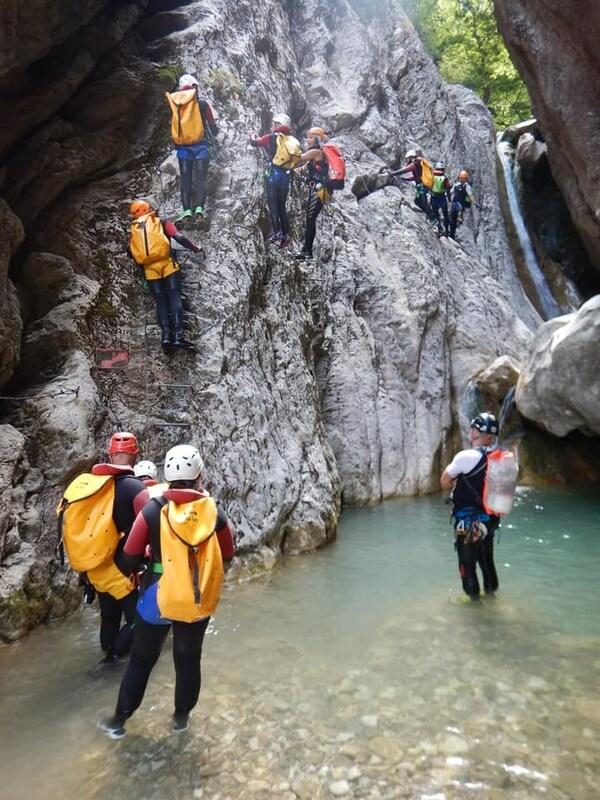 •	2 pairs of shoes: the one for the canyoning is going to get wet, therefore it should be canyoning shoes, sneakers or hiking boots (oil resistant-non slippery) with ankle protection. The second pair is for afterwards. *The transfer is made by organizer's vehicles.